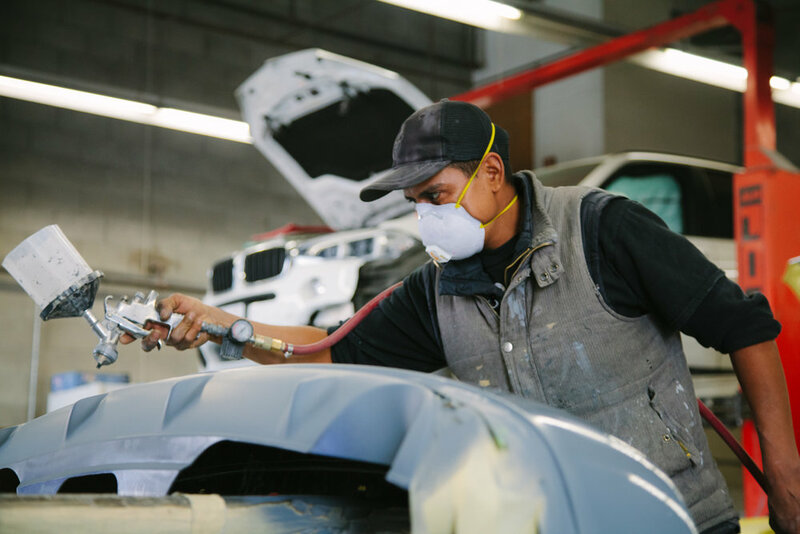 Our repair facility takes personal pride in every aspect of collision repair and will return your car to its pre-accident condition. Our technicians are all I-CAR Platinum Certified, and Bartlett's is an I-CAR gold certified shop. Our employees participate in continuing education to keep current on new vehicles and trends in the industry. The shop has the latest industry standard equipment: computerized frame racks, computerized paint matching, and a downdraft spray booth with climate control. Bartlett's uses CCC and Mitchell estimating systems. Is it possible to give a place more than five stars? It should be for this body shop. Others in the area told me I would need to pay hundreds to thousands of dollars to get my car fixed. We pride ourselves on providing excellent customer service to make your repair as easy and painless as possible. We can arrange to have a rental car staged at our facility and also have your vehicle towed if necessary. Also, we provide complimentary estimates and offer a lifetime warranty on repairs and refinish as long as you own the car.